So I'm a little late on this but here's some leaked photos from the upcoming Marvel comic movie adaptation of Captain America. 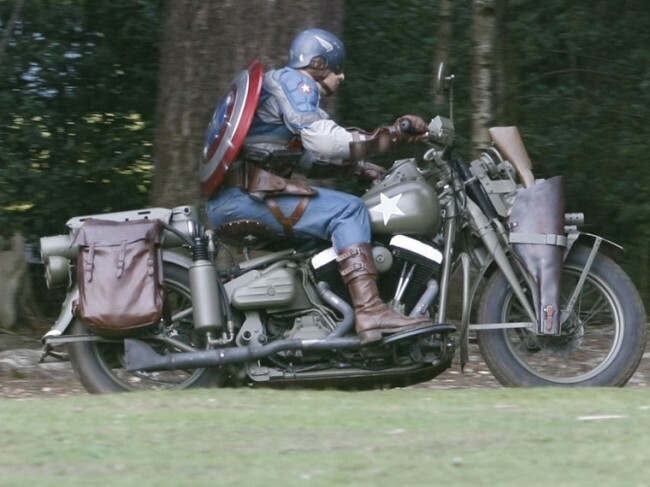 The pictures are of a stunt double on a motorcylce in a Captain America costume (supposedly there's multiple costumes for the movie. Yay for merchandising!) 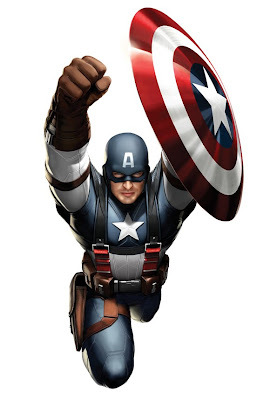 I have more confidence in the Thor movie than I do this one, especially since they're using Chris Evans to play Cap even though he's already been in the Marvel movie universe as the Human Torch. The costume looks promising at least, I'm hoping for an appearance of the Ultimates version of the WWII costume (*Editors note: actually upon closer inspection it looks like those ARE pics of the WWII costume.) 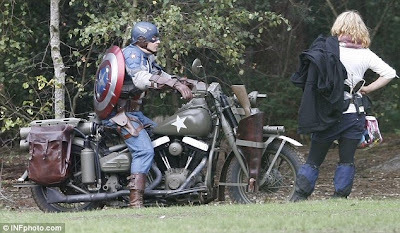 I've included official mockups of the the full costume along with another leaked movie photo after the jump below. 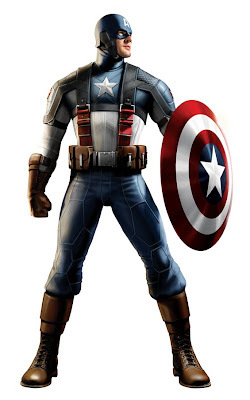 Captain America: The First Avenger comes out July 22, 2011.